This unique workshop will take advantage of various shooting locations and cultural resources available in Turku, Helsinki and surrounding areas. The course will include lectures, organized visits, technical workshops in After Effects, Premiere Pro and critiques of student work. We can accommodate only 10 students. Interview required prior to registration. 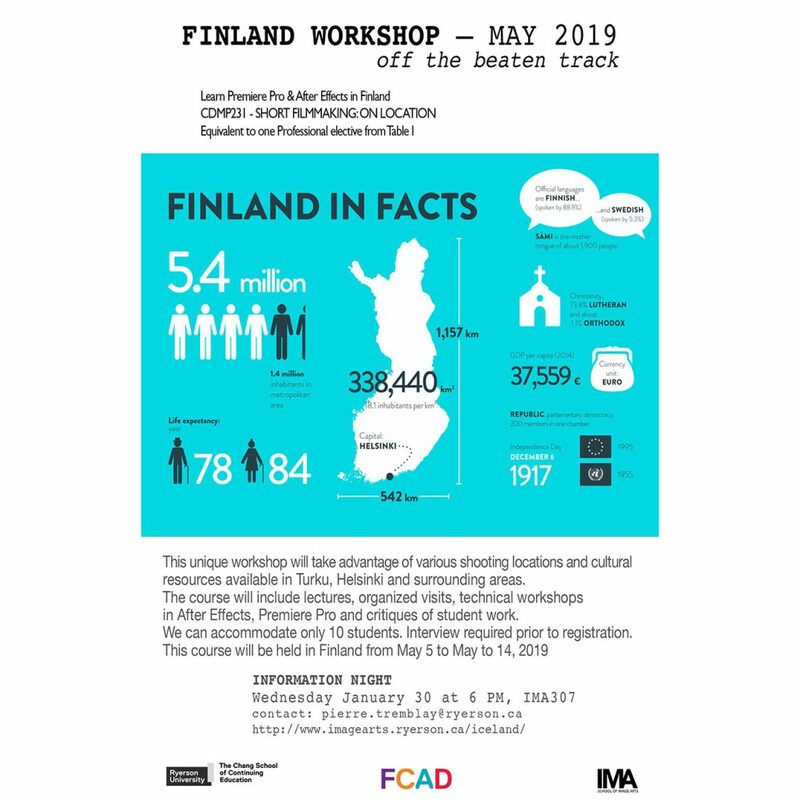 This course will be held in Finland from May 5 to May to 14, 2019.